Home Jobs & Education How Much Do Electrical Engineers Make? How Much Do Electrical Engineers Make? Electrical engineers are vital members of the vast engineering field for developing importance electrical equipment, including electric motors, radars, navigation systems, communication devices, automobiles, aircrafts, and power generation equipment. 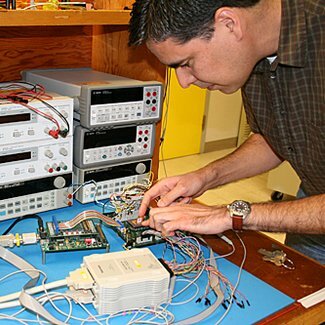 Electrical engineers are typically responsible for designing new methods to utilize electrical power to improve products, conduct detailed measurements for manufacturing, testing to ensure products meet regulation codes, investigating problems to find effective solutions, and collaborating with project managers on electrical production efforts. How much does an electrical engineer make? According to the Bureau of Labor Statistics from May 2012, the 160,560 electrical engineers employed throughout the United States earn an annual average electrical engineer salary of $91,810, which is equivalent to a mean hourly wage of $44.14. The bottom earning 10% of electrical engineers earn $56,490 or less, while the top 10% of electrical engineers earn $136,690 or more annually. Electrical engineers employed in communications equipment manufacturing earn a mean $90,870, the highest paid in the occupation are employed in oil and gas extraction for an average salary of $106,780. By far, the top-paying state for electrical engineering employment is California with an average $107,280 annually. The majority of electrical engineers, around 22 percent, are employed within engineering, architectural, and related services firms nationwide. Other electrical engineers work within electric power generation, electromedical manufacturing, control instruments manufacturing, and scientific research and development services. 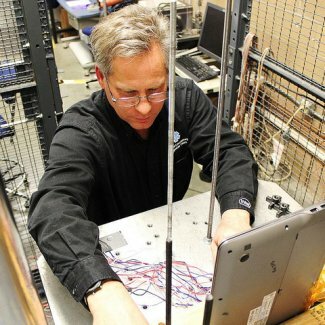 Most electrical engineers work indoors within offices to conduct their research, but many will travel to various sites to observe a pieces of complex equipment firsthand. Electrical engineers often work full-time hours, though it is not uncommon for them to work long overtime hours in certain industries. Employment for electrical engineers is predicted to grow much slower than the national average for other professions at a rate of 6 percent, which will result in the creation of just 10,700 new jobs before 2020. While slight job growth is expected because of electrical engineers’ versatility at developing the advancing technologies, growth will be slowed considerably by the decline of the manufacturing sector that they are employed in. The largest amount of growth will mostly occur in computer systems design and wireless telecommunications to keep up with the powerful trend for mobile electronic devices. What Does An Electrical Engineer Do? How Much Do Engineers Make? + Infographic How Much Do Chemical Engineers Make? What Does An Aerospace Engineers Do? How Much Do Mechanical Engineers Make? + Infographic How Much Do Computer Engineers Make? How Much Do Civil Engineers Make in 2018? 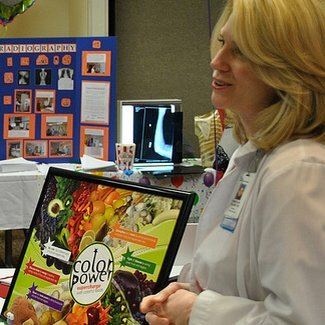 How Much Does a Nutritionist Make in 2018? How Much Do Ultrasound Technicians Make? I want to contact the one who is interest in professional Electrical Engineer and estimate their work where I have experience about 12 years in power and control systems.